Scientists have confirmed the extra-terrestrial origin of dozens of tiny fragments found near Chebarkul Lake in Russia's Chelyabinsk region. Local opportunists meanwhile began selling alleged pieces of the space rock in a bid to make a quick fortune. ­“We have just finished the research and confirm that the fragments found by our expedition in the area of Chebarkul Lake are meteorite by nature,” Viktor Grohovsky of the Ural Federal University told RIA. The space object exploded into at least seven large pieces and hundreds of small ones, researchers claimed. 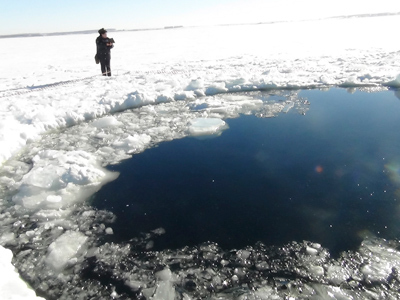 One of the big fragments fell into the Chebarkul Lake, and is believed to have formed an ice-hole 8 meters in diameter. The team was not allowed to inspect the ice crater itself, but around the hole scientists collected several dozens small fragments of the rock about 0.5 – 1 centimeter in diameters which were sent for examination. So far the researchers were able to confirm the samples’ celestial origin out of the 53 small particles sampled. “This is a stone meteorite, an ordinary chondrite. We have diagnosed all the common minerals found there- the metallic iron, and olivine, and sulfite,” Grohovsky elaborated. The scientists at the “Nanotech” center evaluated that over eight percent of the mass of the examined samples consisted of these metals. 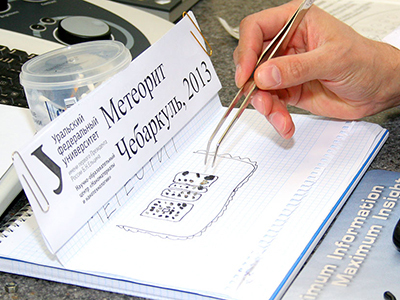 The researchers aim to conduct further analysis before registering “Chebarkul Meteorite” in the international catalogue. Earlier, a team of Emergency Ministry divers have examined the floor bed of the lake in search of the meteorite, but were unable to find anything resembling a big fragment of the rock, which is now rumored to further break-up upon impact. Meanwhile, residents of the region are still speculating about the incident and putting forward their own theories on what really happened, RT producer Lida Vasilevskaya reported from Chelyabinsk. “No, it definitely wasn’t a meteor. I don’t know what it was, but not that,” one local stated. “It was a stage for a missile. For sure!” another claimed. A rock estimated to weigh around 7,000 tons and be traveling at 40,000mph exploded over the Urals Mountains on Friday, scattering debris for miles and injuring some 1,240 people, including 299 children. 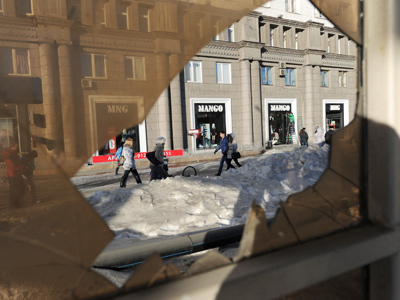 Over the weekend, dozens of sale offers popped up in Russian social networks and auctions with people claiming to have found or bought a fragment of the Chelyabinsk meteor. Although there’s no way to verify the authenticity of the samples offered, some of the sellers ask over $4,000 a piece. 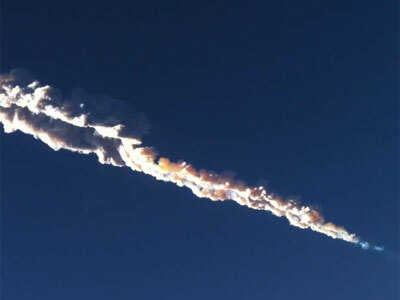 Several vendors claim to be employees at the Chelyabinsk zinc factory, which was rumored to have been devastated by one of the large meteor fragments. One of the sellers who claims he got his 263-gram piece from the factory rubble even described it as smelling of sulphur and having magnetic behavior. There are also a number of blatantly fake ads. 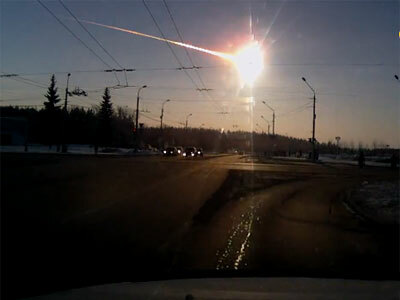 For example, one user claims he had found and dragged home a 200-kg rock from the impact site near a Chelyabinsk Lake. But as evidence of the finding he introduces only a photo of Chebarkul Lake which was swarming with law enforcement over the last days. ­“Found a piece of meteorite!” claims the author of an advertisement on Russia's Avito auction. “Do not want such a valuable scientific exhibit to collect dust in my apartment,” said the author of another ad, claiming to be an employee of the zinc factory working during the impact. “Bought it from a security guard at Chelyabinsk zinc factory. Selling,” says another entrepreneur. Police in Chelyabinsk said they are thoroughly investigating such ads, and will “make a relevant decision on the results of the inspection,” RIA Novosti reported.